Our First Walk of the New Year | Crowlas & Ludgvan W.I. 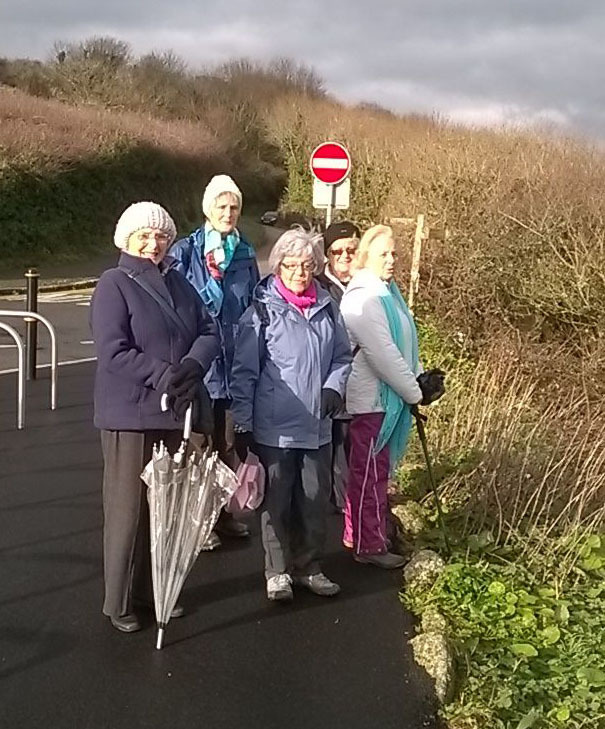 Despite the rain, six members completed the five-mile circular walk from Falmouth on Wednesday. The first half took us through quiet streets and lanes to Swanpool. Shortly before Swanpool the rain stopped and we were able to enjoy the wonderful views of the beaches, Pendennis Castle and St Mawes. Our reward was a big bowl of soup in the cafe at Gyllyngvase Beach! Highly recommended. The rest of the walk followed the coastal path back to our cars. Our next walk is from St Ives and is on 11th February. If you’d like to join the group, send us an email on crowlasludgvanwi@gmail.com. This entry was posted in Uncategorized and tagged Falmouth, Walking Group. Bookmark the permalink.